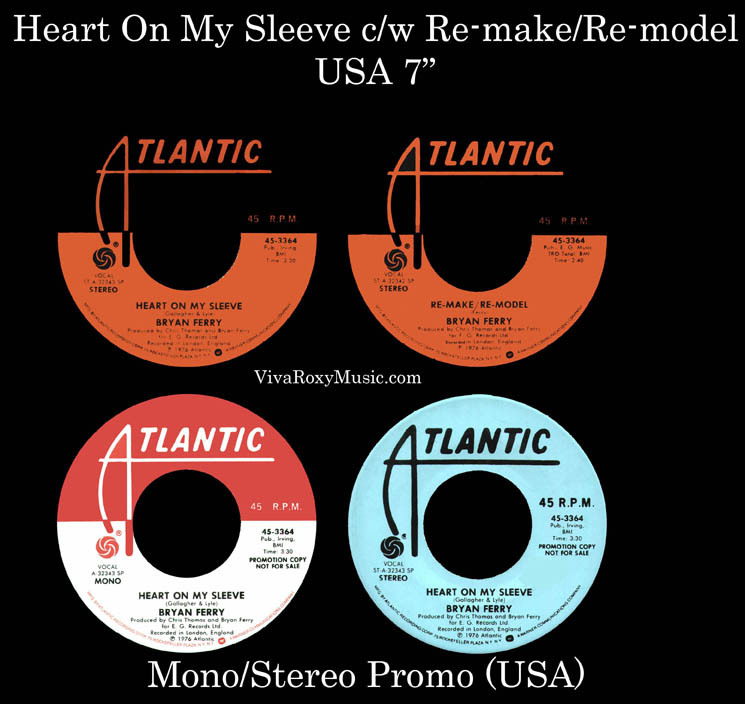 Lyrics to the song Heart On My Sleeve as recorded by Bryan Ferry. This Gallagher & Lyle song was recorded by Bryan Ferry for 'Extended Play' in 1976. It was released as a single in USA with his solo version of Re-make/Re-model as the b-side. Bryan Ferry Vocals (The other musicians were not individually credited,but were named as part of the album's general musicians' credits). Released as a single in USA.